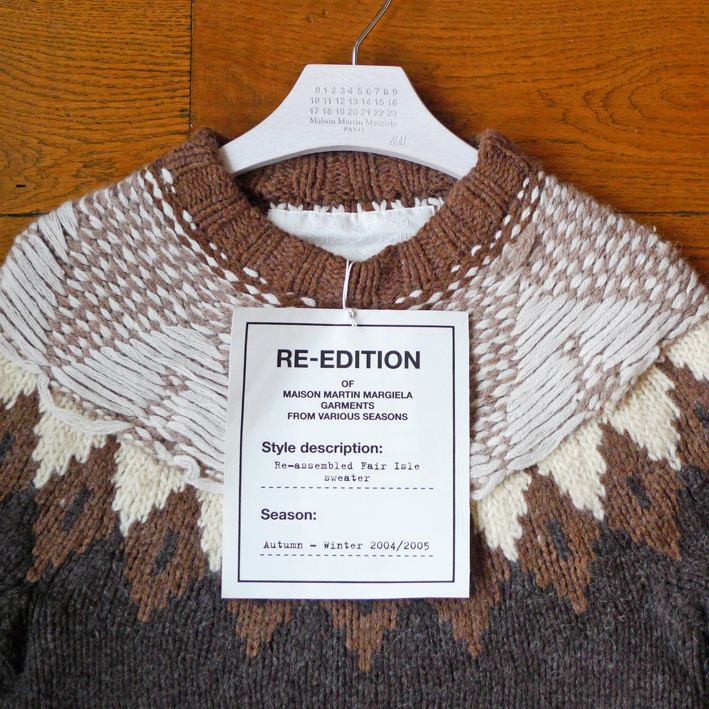 Did you get anything at Maison Martin Margiela with H&M's launch last month? I love a good designer/high-street street collaboration and I've been to enough to know this was a good one. With over 100 items of Maison Martin Margiela's back catalogue on offer, what better way to get your hands on a piece of iconic design at a fraction of its normal price? I did wonder if owners of the original designs would be annoyed that the pieces they own are now so widely – and cheaply – available. Or if they loved them so much, they were glad for the chance to stock up on a second. However, I decided I wasn't going to shop this collaboration. I simply didn't love anything enough to queue for the 8am launch. And, while I appreciate Maison Martin Margiela's conceptual designs, I had to ask myself how well these avant-garde pieces would work in my wardrobe. But then I saw a fashion editor's tweet with this men's Fair Isle sweater and my heart started racing. I'd dismissed the womenswear as not for me, but I'd hardly given the menswear a second glance. I. Wanted. This. Sweater. When my friend Andrew came back to the office with a Maison Martin Margiela shopping bag after a late lunch, he got the full inquisition. Yes, you could walk straight into the store and shop the collection now. Yes, there was plenty of menswear left. And yes, including that jumper. I hotfooted it down there at the speed of light and gleefully grabbed the one and only XS on the rail. It was meant to be! I like that each piece of this collaboration comes with a tag explaining which collection the original design appeared. My Re-assembled Fair Isle sweater? From autumn/winter 2004/2005. Back home, my husband the Stickman took a liking to said jumper. He slipped it on and it fitted. On me, I was swamped. So, that was it – my Christmas shopping had started! If you were wishing you'd snapped up a piece of Maison Martin Margiela with H&M and had missed out, think again. There's a few items online in the H&M sale. I got the chunky knit Dolly cardigan when it was reduced from £59.99 to £30. Now it's just £20. The car seat cover dress and glove clutch that Helena Christensen wore are now down from £179.99 to £70 and £79.99 to £30 respectively. And don't miss Maison Martin Margiela's leather jacket. It's a bargain at £100, reduced from £179.99. There are other items in the sale, including menswear. However, they're no longer listed under Maison Martin Margiela so you'll have to scour through the sale items to find them. The big reductions should make it worth your while, though, so happy hunting! ELLE celebrated Christmas Jumper Day on Friday 14th December in support of Save the Children. As my festive knit, I chose this Torsby Fair Isle sweater from Superdry. There are so many Fair Isle jumpers to choose from at Superdry, all at £49.99, but it was the Christmassy snowflakes that attracted me to this particular design. Plus, the similarity to Sarah Lund's sweater in cult BBC4's crime drama The Killing. I admit, I've never watched The Killing, but detective Lund's sweaters are probably the most famous jumpers on TV. 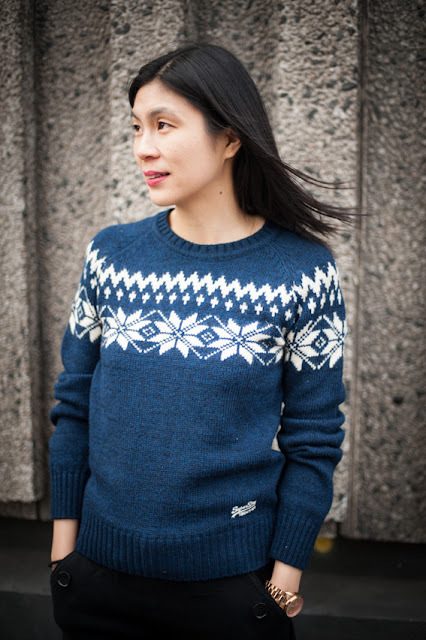 Scandinavian knitwear company Gudrun & Gudrun are the makers behind her wardrobe. Its sweaters are hand-knitted in the Faroe islands in traditional patterns originally used by the fisherman's wives to distinguish their husbands as they approached shore. And the cost of a Gudrun & Gudrun sweater? A hefty 280 euros (around £228). But they are hand-made from 100% organic, untreated and undyed Faroese wool, taken from the native sheep. The result is an incredible soft and warm wool. Such is the popularity of Sarah Lund's sweaters, they have their own fan website and there are even knitting patterns for the jumpers. But if you can't afford the Gudrun & Gudrun originals and haven't the time to knit one, Superdry's Fair Isle knits are my top recommendation. For more Christmas jumper inspiration, click here see what the rest of Team ELLE wore on Christmas Jumper Day. These Aubin & Wills fox jumpers are at the top of my Christmas jumper wish list. What's more they're already in the sale, reduced from £125 to £98. I love a good animal motif and this season there's been plenty around. Just take Burberry's owl knit, it's inspired a whole parliament of owls on the high street from Marks & Spencer to River Island and New Look. 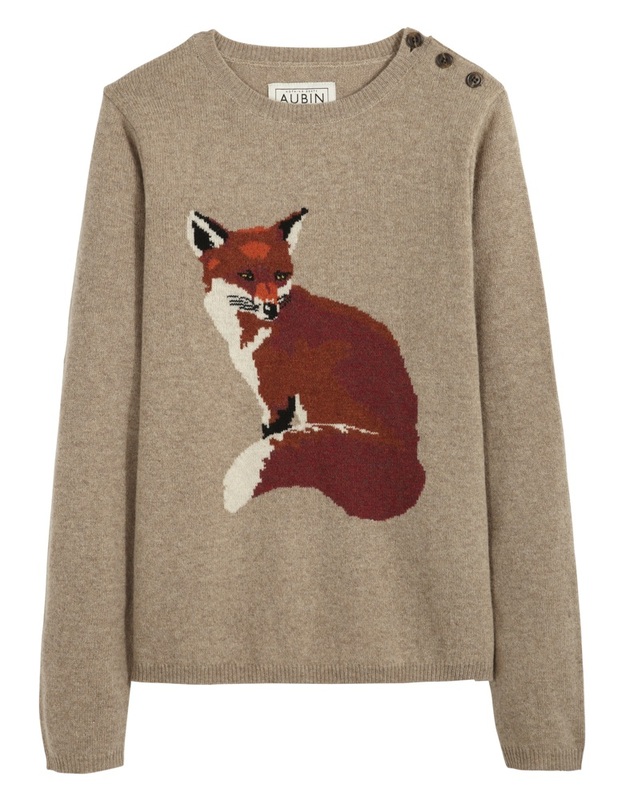 This foxy intarsia design is Aubin & Wills' signature motif emblazoned on its best-selling Portland jumper. It's made of super-soft merino wool and comes in a choice of chargoal grey or oatmeal. Taylor Swift was spotted in the latter with Harry Styles in New York earlier this month. 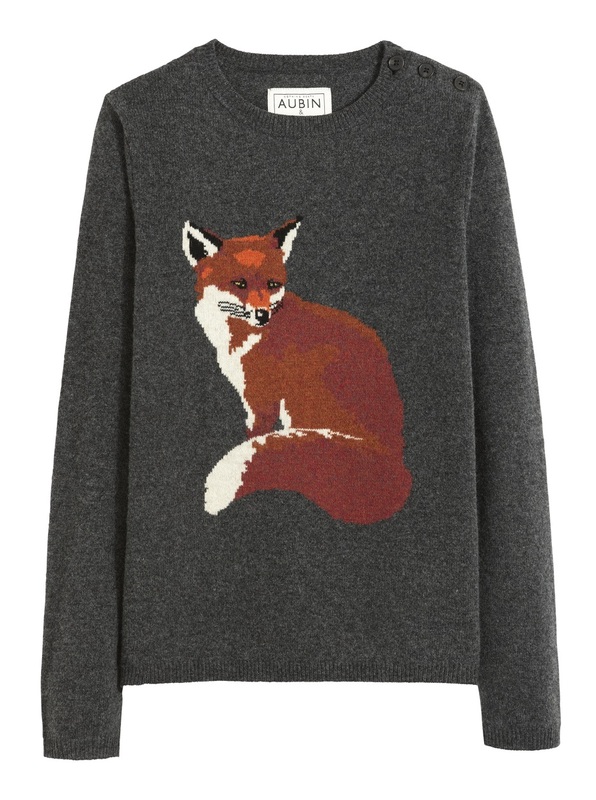 With celebrity credentials, it's not surprising this foxy jumper has just sold out online, but check your local store for availability. And, while you're there, make the most of it as sadly Aubin & Wills, the sister label of Jack Wills, is closing its doors shortly after Christmas. Sob. Remember my Zoe & Morgan love ring? I've found a blingier version! Don't you just love the gold-plate and sparkle? It's by Munich designer Elsner Basera, whose label Leaf is stocked at online jewellery emporium 21 Diamonds. At £68.95, it's one to add to your Christmas wish list. It also comes in silver and there's a matching necklace (£102.95) and bracelet (£84.95), too. 21 Diamonds offers free shipping and returns (which is handy if you get your ring size wrong, which I did), but items are shipped from Germany so you better get busy with your order. That's once you drag yourself away from browsing the site, that is. As well as fine jewellery, there's watches and brands such as Les Néréides, Pilgrim, Mint, Paul & Joe, Swarovski Crystallized and many, many more. There are also myriad charms and beads to make your own charm bracelets and necklaces. Prices are really reasonable with great items that bridge the gap between non-precious high-street jewellery and high-end pieces. And with a plethora of choice, there's something for everyone. 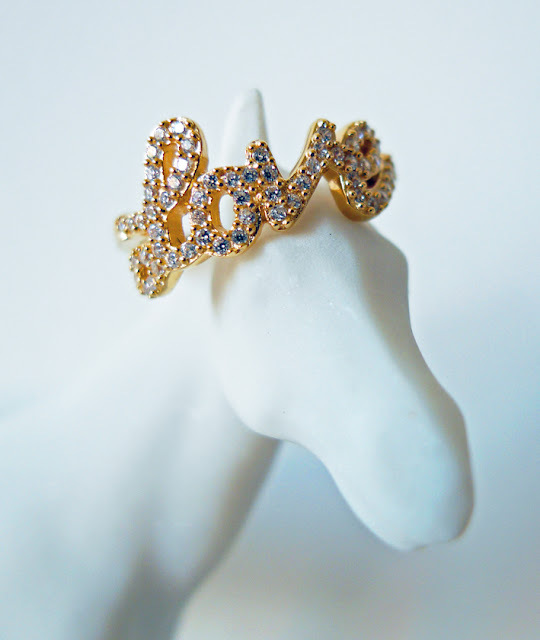 Btw, Zoe & Morgan's love lasso ring now comes in rose-gold. It's the same price as the gold version at £99, while the silver option is £77. Which love ring do you like best? Time to start hinting so someone can tell you they love you this season!